The Universe of John Lennon (True North 2012) is the latest in a long series of tribute albums to one of the most famous songwriters in contemporary pop. According to Amazon, there are already dozens of tribute albums to the ex-Beatle, the most recent in the jazz world from Bill Frisell: All We Are Saying (Savoy Jazz, 2011). 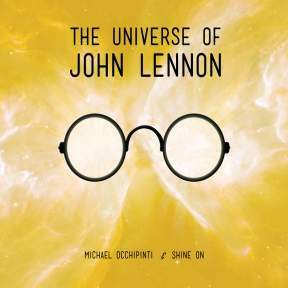 This new recording by Canadian guitarist Michael Occhipinti and his band, Shine On, offers listeners fresh insights into Lennon's music, insights that are inventive but not necessarily imaginative. As a musician and arranger, Occhipinti takes some calculated risks with these songs that stand up well. But after repeated listens, the music often fails to match up with either the intent of the original, or even the lyrics themselves. In other words, the music is so good that it often sounds detached from the lyrics. That said, there are still a few highlights that distinguish this album from the pack. The Universe of John Lennon opens with Lennon's radically experimental "I Am The Walrus," sung by Elizabeth Shephard from Montreal. Not wanting to fuss over the vocal, she sings it straight and lets the funky groove drive the tune’s momentum. Her approach to the lyric becomes much more rhythmic than the original with the horn section picking up the “koo koo ka joo” retorts as a kind of call and response. The song then breaks tempo and enters a dreamy solo section featuring Kevin Turcotte’s trumpet. It all works with a little dash of psychedelic weirdness that winds it out nicely. Shephard also takes the mic for a soulful version of "Working Class Hero." This is less successful though because the lyrical angst in the original is washed out by the earthy groove of the band. It’s as if the words were merely parked atop an existing tune. Shephard kicks it up a notch however on the New Orleans-flavored arrangement of "Whatever Gets You Through The Night," clearly inspired by the Neville Brothers, making this a much better fit of vocal to music. "Instant Karma" is played with a clearly defined R&B flavour and once again the rhythm section lays down such a great beat that it’s almost too good for its words, but vocalist Dominic Mancuso commits so strongly to the song that the results are sublime. "Rain," featuring vocalist Denzel Sinclaire, is a remarkably bright and buoyant version of a song that makes for great Dream Pop. Slowed to a moderate, Brazilian beat this cover is at once ethereal and provocative. It’s the best arrangement on the record. Although in spirit, The Universe of John Lennon is a jazz interpretation of his music, I’m not entirely convinced that this is a jazz album because the music is so heavily arranged with little improvisation (the cornerstone of jazz music). 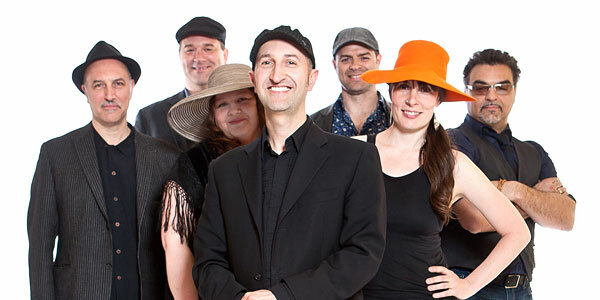 But taken to the next level via a live performance, the band might still find plenty of room to improvise and extend the boundaries of those arrangements. Maybe a worthy follow up would be a tribute to the music of Paul McCartney with plenty of swing.